Dear Family and Friends . . .
We haven't said anything to anybody about this until now because we wanted to wait until everything had been completed. 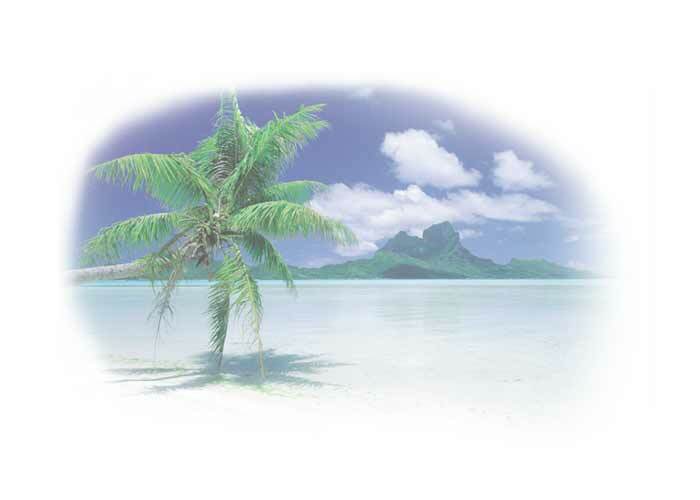 We purchased a one bedroom home near Cooks Bay in Moorea, Tahiti as an investment property. Escrow finally closed this week and we thought we would let you know in case you're interested in renting. It's available for weekends or on a weekly basis. Initially I will be handling bookings until I find an agent in the area to manage the property. In order to offset the closing costs, weekends will cost approximately $200 (family and friends' rate) for three nights, and $500 for the week. But, we can only give out these rates during this summer. It's a one bedroom high rise unit that overlooks the ocean, nestled among lush greens, and has a lovely ocean view from every window and all the imenities we could wish for. I am taking reservations as early as next week. Have a look and see the great luxury spot in Paradise! Simply Breathtaking!